여행이나 사업을 목적으로 다른 나라에 가게 될 경우 입국 심사 절차를 거치게 되어 있는데요, 입국 심사관을 ‘immigration officer’라고 하지요. 입국 심사관은 방문자의 입국 허가 여부를 결정하게 됩니다. 최근 한국의 경우 비자 면제 프로그램이 적용되어 짧은 기간 방문하는 사람의 경우 입국허가증인 비자가 필요 없지요. 대신 미국에 입국할 때 초록색의 ‘I-94W’라는 서류를 작성해서 입국 심사관한테 제시하게 되어 있습니다. A:Did you fill out your I-94 form? B:No, I didn’t. I don’t have a visa. A:So, you’re arriving under the visa waiver program? A:Then you will need a green I-94W form. Visa holders need a white I-94 form. A:Be sure to complete the top, bottom, and back of this form, up to and including your signature. B:There you go. I completed the form. A:And make sure your documents and forms are out and ready for the immigration officer. B: All right. Here's my passport, I-94 form, and customs form. 아뇨, 하지 않았어요. 난 비자가 없어요. 그러니까 비자면제 제도에 따라 입국하시는 것이군요. 그럼 당신은 녹색의 I-94W 서식이 필요할 겁니다. 비자를 가진 사람은 하얀 색의 I-94 서식이 필요하고요. 이 양식의 상단, 하단, 뒷면, 서명란까지 작성해야 합니다. 자, 됐어요. 이 서류를 작성했어요. 입국 심사관한테 제출할 수 있게 당신의 모든 서류와 양식들을 꺼내서 준비하고 계세요. B: All right. Here's my passport, I-94W form, and customs form. 좋습니다. 여기 내 여권, I-94W 서류, 세관신고서가 있습니다. 이제 대화 내용 중에서 “out and ready for~, 꺼내서 준비하고 있는, 나와서 준비된”이라는 표현을 활용해서 영어로 간단히 대화를 주고 받는 연습을 해볼까요? A:Are you ready for the immigration officer? B:Yes, my documents and forms are out and ready. A:입국 심사관 면담할 준비 되었어요? 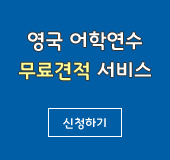 B:네, 제 서류와 서식을 꺼내서 준비하고 있어요. A:The movie starts in five minutes. We better get inside. B:Make sure your ticket is out and ready. A:5분 있으면 영화가 시작돼요. 들어가는 게 좋겠어요. A:The March newsletters are out and ready for you to pick up! A:3월호 소식지가 나와서 당신이 가져갈 수 있게 준비되었어요. Did you fill out your I-94 form? No, I didn’t. I don’t have a US visa. So, you’re arriving under the visa waiver program? Then you will need a green I-94W form. 비자를 가진 사람은 하얀 색의 I-94 서식이 필요합니다. 이 양식의 상단, 하단, 뒷면, 서명란까지 꼭 작성해야 합니다. Be sure to complete the top, bottom, and back of this form, up to and including your signature. There you go. I completed the form. And make sure your documents and forms are out and ready for the immigration officer. All right. Here's my passport, I-94W form, and customs form.